When you learn the piano, there is a chance that you want to be a piano teacher one day. There are many pianist who can be piano teachers but they may not be considered good teachers. Being able to play the piano, and being able to teach, are two different sets of skills. First, you need to know how can you be a piano teacher in Singapore. Usually, a Grade 8 in ABRSM piano is the minimum qualification you need to start teaching in most music schools. With a Grade 8 Certification, you can teach beginner grades, up to Grade 5. Thereafter, you will need to go for higher level of qualifications in order to teach higher grades. Teaching piano and playing piano are two different things. Many parents or students assume that the pianist with the highest qualification is also the best teacher. That is true to some extent only. Teaching the piano requires a different set of skills, other than just playing the piano! A piano teacher has to know how to explain the process of playing music into simple steps. A piano teacher has to communicate in simple words to young students (especially for kids piano lessons). A piano teacher has to know what went right, and what went wrong when students make mistakes, and know how to get them back on track. A piano teacher has to plan the learning schedule for the student, and know how to maximise each student’s potential. A piano teacher also has to motivate the student when learning gets more difficult (or boring) at higher levels. Basically, a piano teacher must have the necessary teaching skills as a school teacher! If you have positive answers to the two questions above, yes, you can be a piano teacher! But hold on… what if you want to be a good piano teacher who will get results, and get loved by parents and students, who will in turn refer all their friends to learn piano from you? That’s where you have to be a Good Piano Teacher! Good piano teachers will put their heart and soul to educate their students to make sure they learn the piano well, and enjoy learning it. A normal teacher may just buy a piano book and teach page by page. A good teacher may modify the lessons by using songs from popular movies, or using little games to help students to learn better. Pianists who really want to go into teaching (part time or full time) must know that it is a long term commitment on both ways – the student is committed to learn, the teacher must be committed to teach. If teachers are in it for some quick money, then they should not come into teaching. A good piano teacher will provide feedback to the parents or students every lesson, or every month. This will help the students to see how far they have progressed and if they are on the right track. These feedback will help the students to improve and motivate them to do better. We do receive emails from parents who wants to change the piano teachers of their children because the current teachers are too strict. Strict to the point that their children are hating the piano, and jump for joy when there’s no piano class. When this happens, it means the teacher is doing piano lessons wrongly! It should be the other way round! Students who learn the piano should love the piano more, and always look forward to the next class! A good piano teacher will continue to learn piano, and seek continual improvement. The teacher will also stay in touch with latest trends in the industry – Is there a renowned pianist coming to town? Should I get my students to watch how this pianist play? Are there any change in syllabus and requirements for this year’s piano exam? What are the latest tools or softwares available that help students to learn better? There are many more characteristics of a good piano teacher, but the ones above are the most important ones. By possessing these qualities, you can be assured that parents and students will love your lessons, and grow up to become a better piano player. At The Happy Pianist, we are always on the lookout for good piano teachers, and help them match students to build up their teaching career. We are strict in our selection and matching process to ensure we work with good teachers. If you would like to build up your teaching career with us, you can apply as a piano teacher here. 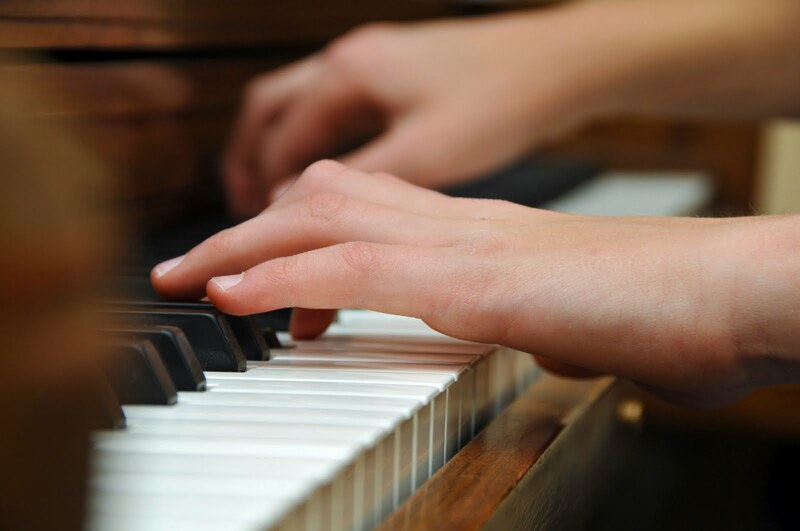 We also help parents and students find the best piano teacher who match their learning needs. If you are keen, you can drop your request here for adult piano lessons, or kids piano lessons. I am looking for a piano teacher for grade 4.